The southern tip of the island of Outremeuse is occupied by the pleasant Parc de la Boverie, where we find the Museum of Modern and Contemporary Art. Housed in the last surviving pavilion of the Universal Exhibition of 1905, the museum possess nearly 1000 works from 1850 to the contemporary period. It covers various artistic styles, ranging from Impressionism (Monet, Pissaro, Signac, Claus, Ensor, Van Rysselberghe...), Fauvism (Gaugain, Derain, Dufy, Friesz, Wouters...), Symbolism (Khnopff), Expressionism (Chagal, Picasso, Kokoschka, Permeke, Van den Berghe...), Abstract Art (Mortensen, Nicholson, Poliakoff, Vasarely...) and Contemporary (Tapiès, Van Velde, Viallat...). Liège is famous in the world over for its Val Saint Lambert crystal, manufactured in the suburb of Seraing. 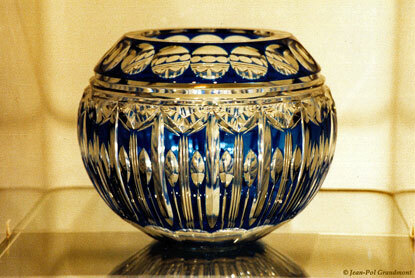 Two Frenchmen established the crystal factory in 1826. 'Val Saint Lambert' was soon renowed for its exceptional purity and brilliance, and flooded the houses of Europe's upper-class families. Sales sharply decreased in the 1930's depression, and the industry never recovered, partly due to the cheaper Czech production after WWII. 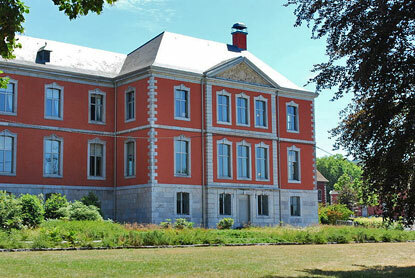 The former Abbey of Val Saint Lambert, a neoclassical 18th-century castle, is open all year round from 10:00 am to 5:00 pm. Liège's history of coal mining can be explored in the mines of Blegny, about 10 km north-east of the city centre. It used to be one of the largest coliery in Belgium, employing up to 650 people and extracting some 1,000 kg of coal per day. It closed in 1980 and was converted in an industrial age museum. For something completely different, Prehistosite of Ramioul, in the western suburb of Flémalle, as its name indicates is a prehistorical site. In addition to the visit of the Cro-Magnon cave on three levels, a new museum has a multimedia presentation. Children can also practise cutting silex, using a bow, throwing a spear, or making pottery, like our ancestors once did.